Too bad they're not all made of silver!! 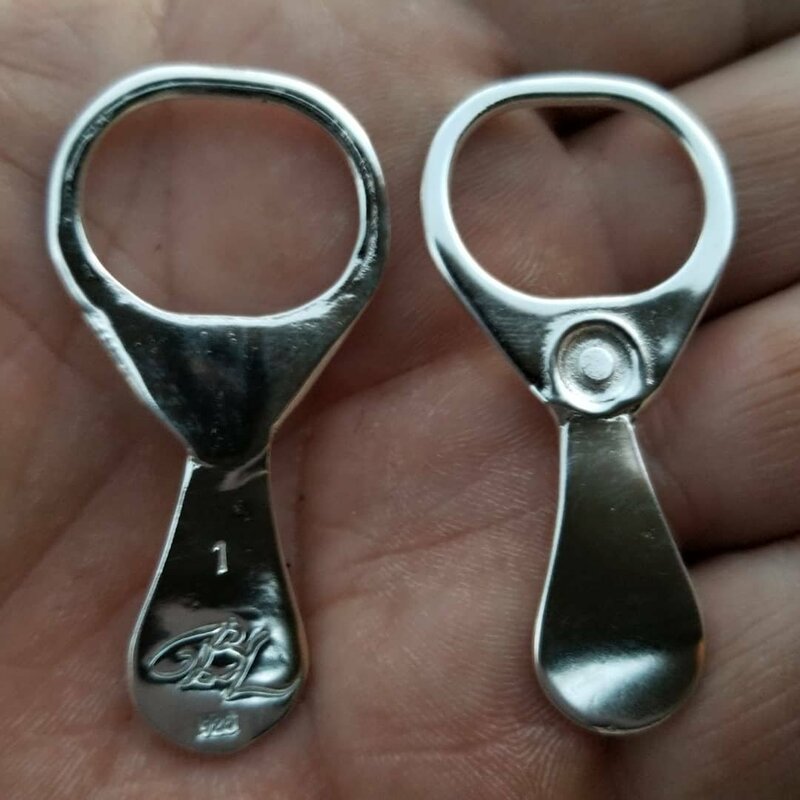 I had these two, 925 silver pulltabs custom made for me! I found a silversmith on Instagram who had alot of custom made items posted. So I contacted him, told him what I was after, 2 weeks later.... BAM! Thanks Drew! I've been wanting to do this for a while. I just had to find the right guy. Brilliant! Those would be nice prizes at a seeded hunt. I was thinking the same thing. Cool gift to a detecting buddy or something like that. I know a guy who makes them. Just look up the name on the card in the picture. Seriously what else can a silver smith make for you? That's pretty awesome. If your serious, this guy is willing to try just about anything, he says. It would be cool to have a silver coil to hang on a chain! I'm sure he could figure something out. Thought about making some token to bury. Why not? Holes already dug. Can say hello to the next generation, and then they can curse me!! "Ha ha beat you to it. Very cool! Probably the only pull tab I would like to find! Yap. That is awesome. Very jood job. Like it.